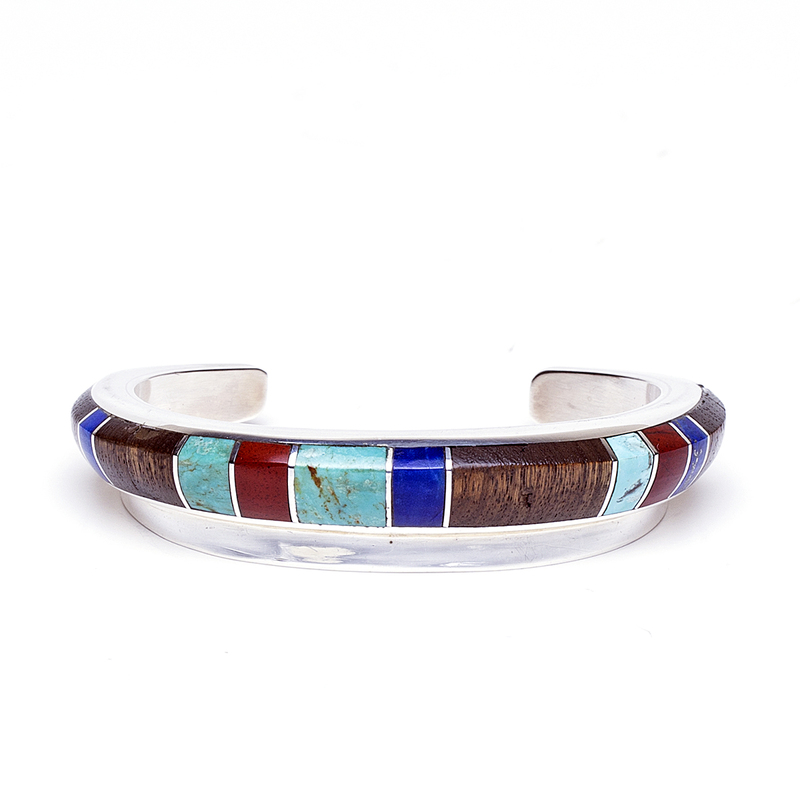 A complex bracelet featuring a multitude of colors and modern style that come from this exquisite piece inlaid with Ironwood, Pipe Stone, Lapis and Turquoise with shimmering Sterling Silver. 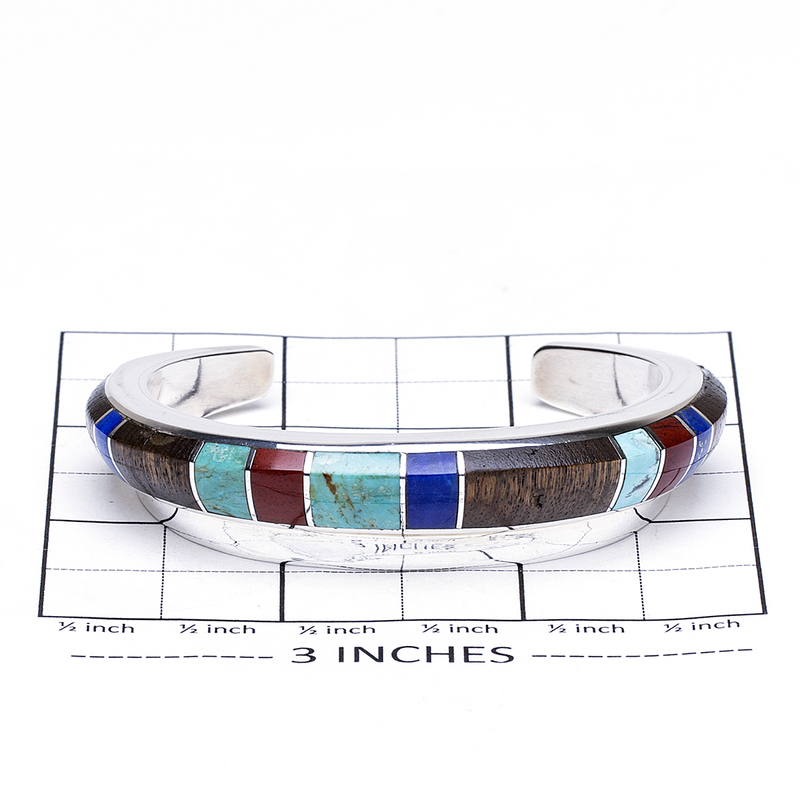 This bracelet was handcrafted by an experienced Southwestern Anglo artist, Chase Harrison. Bracelet measures 5 1/4″ in length with a 1 1/8″ gap by 5/8″ in height. 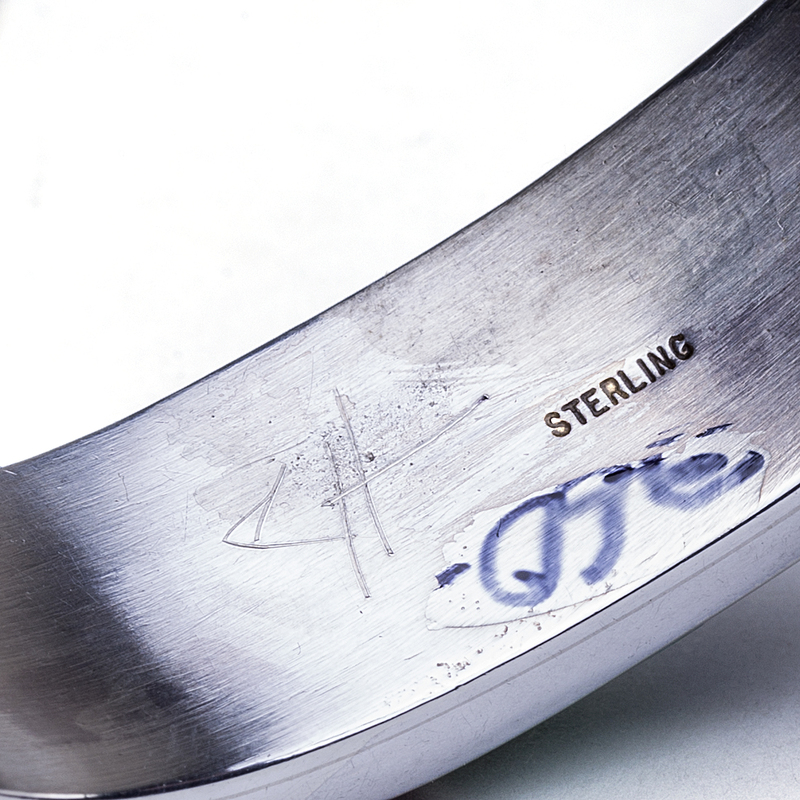 Hallmarked “CH” and “Sterling”. Bracelet weighs 34.1 grams We also offer free gift wrapping with each purchase. 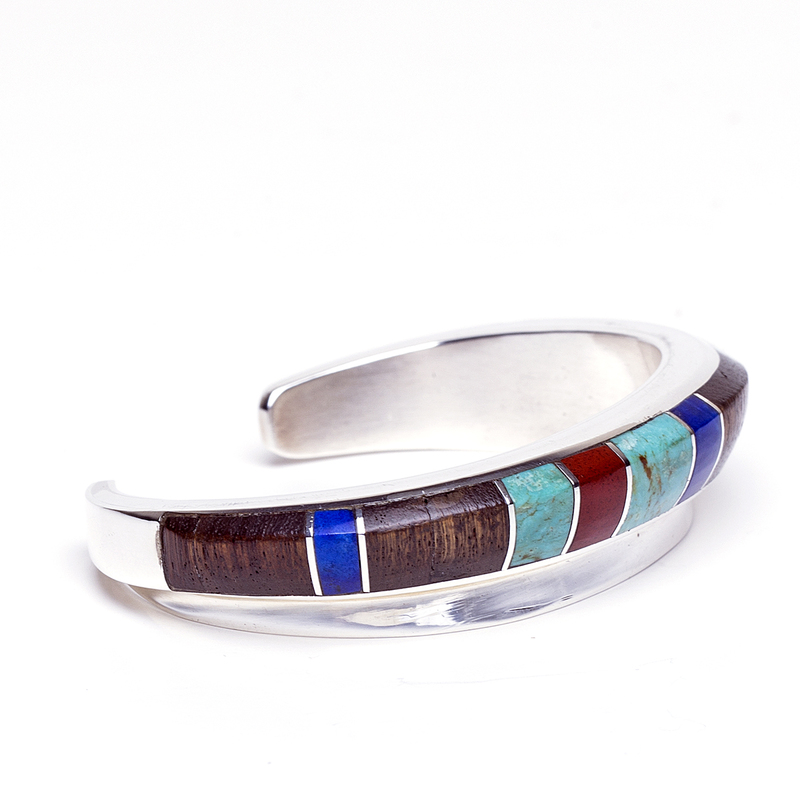 Chase Harrison Ironwood Bracelet displays contemporary inlay style featuring the fashionable colors of Ironwood, Pipestone, Turquoise and Lapis.